Then select either the personal training option or the community training option below. After you have read the web content if you want to use our trainings for your own personal use, click the download request link at the end of this section. You may select as many as you want. These documents are PDF versions of PowerPoint slide presentations that are designed as trainings to reinforce web content. They can be read to enhance your learning. Each training also comes with a PDF teachers manual that includes talking points for each slide. Be sure to download both and read the talking points for each slide as you progress through the training. If you find this training helpful and you want to use it to train others, follow the steps below this section for “Community Trainings”. Go to the Download Request Page to select the trainings you want. Click Here to visit the e-Training Quiz Introduction page. This introduction gives an overview of the quizzes and how to take them. There are two similar quizzes for each section, one graded and one non-graded. The non-graded quiz reinforces learning and the graded quiz reinforces learning and provides a standard minimum level of competence for organizations using this material as a basis for their activities or training. When the graded quiz is completed with a grade of 70% or higher the student is directed to a summary page that reinforces learning and gives the student an opportunity to download a PowerPoint Training document that summarizes the material for the section just completed. 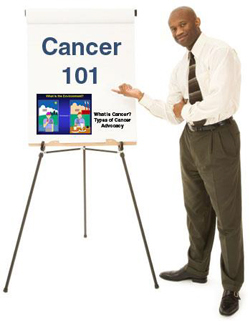 This PowerPoint training may be used as part of a community outreach to educate the general public or to train advocates. A Trainer's Guide is also available that provides talking points for the person giving the training.